The Female Angle: Yay Trout! Rockin pics!!! 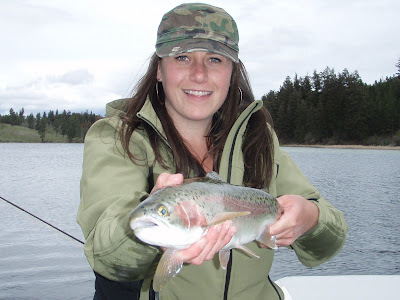 I can't wait to do some trouting, thanks for sharing. It is a wonderful pics... If I have a lake like that... I would be have too much work done... Keep them coming!